Here’s the lowdown on graduate school exams, plus tips to help you prepare. One of the more stressful aspects of completing your graduate school applications is taking (but first studying for) your graduate school examinations. Here’s the lowdown on graduate school exams, plus tips to help you prepare. Applying to medical school? You’ll likely need the MCAT, which stands for Medical College Admission Test. Similarly, if you’re applying to law or business school, you’ll need either the Law School Admissions Test (LSAT) or the Graduate Management Admission Test (GMAT). And if you’re applying for none of the above, chances are you’ll need to take the Graduate Record Examinations (GRE), which is required by many other US graduate schools. If you’re an international student, you’ll probably need to take the TOEFL (Test of English as a Foreign Language) or the IELTS (International English Language Testing System) to demonstrate your proficiency in English. I highly suggest checking the requirements of the schools that you know you want to apply to before arranging to take any exams. While it’s more common to require the GRE than not, there are a number of graduate programs that don’t actually require any exams. Additionally, even if an exam is required, some schools might require additional subject-specific exams. It’s good to know what you’ll need before you expend any time or money. Again, check the requirements for each school. Schools usually set testing date deadlines, meaning you’ll have to complete an exam by or before a certain day of the year. Additionally, check when the testing boards offer the exams. For example, the LSAT is offered three times a year, whereas the MCAT is offered almost weekly from January through September. From there, you can get a good idea of when exactly you’ll be taking your test. You can always arrange to take your exam early. The benefit of this is that it allows you to retake the exam before the testing deadline if you don’t do as well on it as you wish you did. Should I plan to take the exam multiple times? Taking a standardized test is not fun. The exams are at a minimum four hours long (the MCAT is seven and a half! ), registration fees can be costly, and you’ll have to spend weeks if not months preparing. Nobody wants to take their exam more than once, if they can help it. Yet taking the exam more than once gives you the opportunity to strength your test scores and is generally not a bad idea. But taking the test too many times can actually backfire on you: it might weaken your application, making you seem desperate or ill-prepared. Remember that the exam is not the only aspect of your application that you will be judged on. If you’ve taken your exam two or three times already, focus instead on strengthening your application, portfolio, and resume. A high undergraduate GPA, relevant work experience, and stellar recommendations can also help offset disappointing scores. Should I take a test if it’s not required? Some schools will state that an exam is optional. 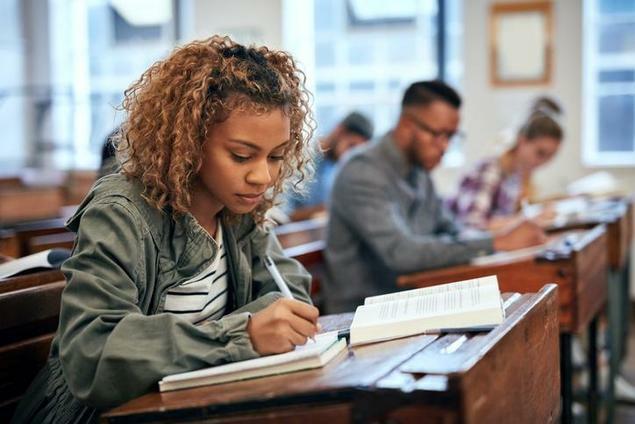 If you’re a strong standardized test taker and you have the time, energy, and money to take additional exams, you certainly can—high scores will only strengthen your application. But don’t submit the scores if they’re subpar, especially if the exam isn’t required. There’s only one answer here, and that’s to study. If you want to avoid retaking your exam (and paying the hefty registration fee), you’ll want to dedicate time to studying the material. You can find exam prep books at your local bookstore. Check the used section! (Just make sure to use a recent edition, as testing guidelines and subject materials can change.) You can also take practice tests. This is the best way to get a feel for the structure of the exam and the types of question it’ll ask before you sit down to take it. If you have any friends also applying to graduate school, organize a study group. I promise this will make you feel just like an undergrad again, cramming in the library late at night with your roommates. Lastly, be sure to check the testing board’s webpage. The various testing boards all offer their own overviews, guidelines, and prep materials (some free and some for purchase). It is the perfect place to start your studying.